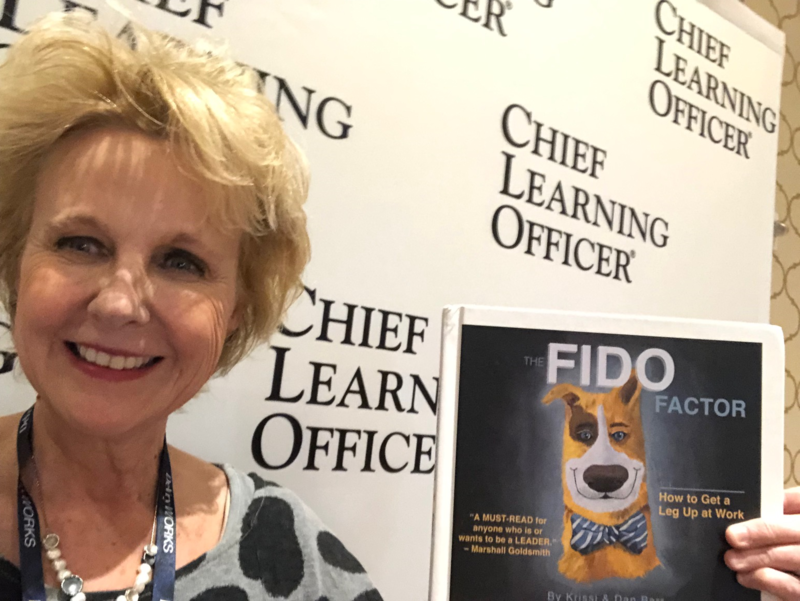 A speech, an article and hundreds of new friends were the highlights from my time at the Chief Learning Officer symposium last week in Las Vegas! My speech to a standing room only crowd was exhilarating. That should come as no surprise, since the topic was The Leadership Wisdom of Dogs! Then I opened my copy of Chief Learning Officer magazine and was thrilled to see my full-page article featured prominently! Click on the link below to see a PDF of the page. But the best part of the experience was meeting hundreds of new people who love learning, love teaching business people about leadership and love dogs! Thank you CLO!